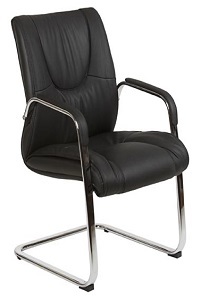 Quality PU leather client chair. Strong and durable, suitable for everyday office use. Commercial quality. BIFMA standard. Buy with confidence.